For the first time since July 2006, the Milwaukee Brewers completed a three-game sweep of the Cincinnati Reds with a 5-2 victory Sunday at Miller Park. Milwaukee won the series’ first game 3-2 Friday on just three hits, two of which were home runs by Prince Fielder and Corey Hart. 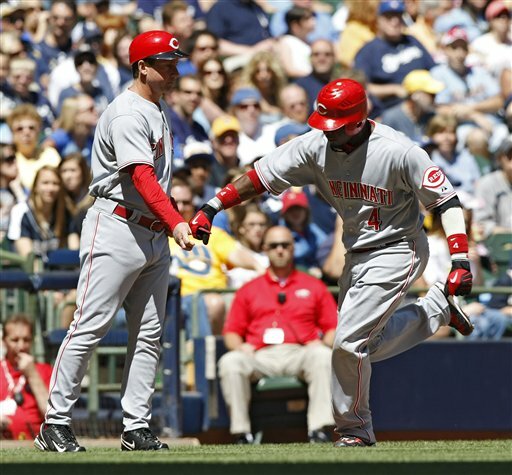 In game two Saturday, the Brewers fell behind 3-0 in the first inning before a three-run home run by Fielder sparked the team’s offense, which later scored six runs in the fifth inning and put up 16 hits in the game to take the series from the Reds with a 9-5 win. Finally, the Brewers earned the sweep Sunday, scoring five runs in the first three innings to give Yovani Gallardo all the run support needed to down the Reds. Still, after losing three straight to the Brewers at Miller Park, Cincinnati second baseman Brandon Phillips insists his Reds — who had won four straight and five of their last six games heading into the series — are the better team. How can Phillips still say his team is better even after the Brewers outplayed the Reds for three straight games? Or what about the fact Milwaukee is 3 1/2 games ahead of Cincinnati in the NL Central division standings? If the Reds were the better team wouldn’t they have a better ranking than the Brewers? Maybe Phillips is just trying to remain positive, but it seems to me the Reds’ second baseman is simply unable to realize his team is not as good as the Milwaukee Brewers. Or maybe he injured more than just his wrist when he went on the DL back in late April? Whatever it is, it’s hard for me to accept his argument. The Brewers did the small things right and executed better than the Reds over the course of the three games at Miller Park this weekend. And they’ve been doing it better than Cincinnati all season. Tell me again how the Reds are better than the Brewers? If that’s why they’re in first place, then why do you still think you’re team is the better team? Be realistic Brandon, the Reds could be the better team over the long haul of the season, but right now, they simply are not. And until you prove otherwise, they won’t be. Some things never seem to change. Every Sunday in the fall, Brett Favre will be behind center in the NFL. And every spring, Favre will wrestle with whether or not to retire, eventually choosing to continue playing. 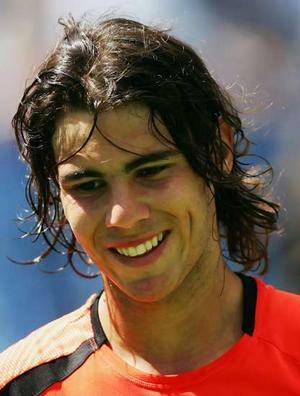 Lastly, Rafael Nadal never loses at Roland Garros. 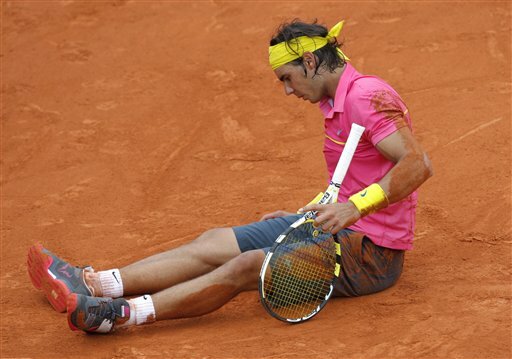 Well, while Favre continues to be indecisive about retirement, Rafael Nadal’s winning streak at the French Open is over. Thanks to 23rd-seeded Robin Soderling of Sweden, Nadal’s record 31-match winning streak at Roland Garros is history. In his previous 31 matches, Nadal had lost only seven sets. Since losing a set to Roger Federer is 2007, Nadal hadn’t even lost a set. I guess if Nadal can lose on clay, maybe Favre can retire? Well, maybe not. Soderling defeated Nadal 6-2, 6-7(2), 6-4, 7-6 (2) in the fourth round in Paris Sunday. So much for the highly anticipated Nadal-Federer final everyone expected. Now, the best possible final (based on seeding) would be No. 2 Federer versus No. 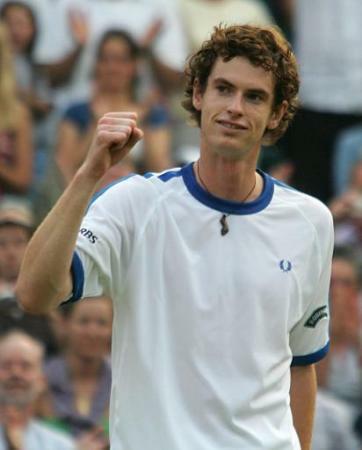 3 Andy Murray. While Federer has yet to play his fourth round match, Murray, unlike Nadal, advanced to the quarterfinals fairly easily Sunday, beating No. 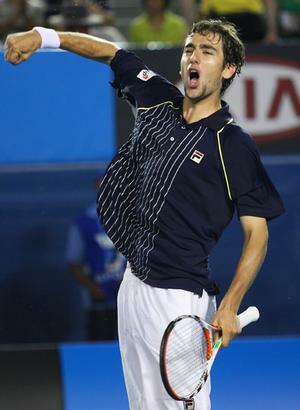 13 Marin Cilic of Croatia 7-5, 7-6 (4), 6-1. Personally, aside from these two stars the only other player that draws my interest is Andy Roddick. So if the final doesn’t include any of the three of them, it seems unlikely I would even tune in at that point. Let’s hope Federer, Murray and Roddick can continue to have success, unlike Nadal or No. 4 Novak Djokovic, who both lost much earlier than expected. Before Saturday’s game in Orlando, LeBron James was averaging more than 40 points per game in the series with the Magic. It was Dwight Howard, however, who led all scorers with 40 points in Game 6 against the Cavaliers while James managed just 25 points in a losing effort. So, when it really mattered, Howard proved he was the better clutch player, nearly single-handedly sending his team to the Finals for the first time since 1995. In fact, aside from the miracle three-pointer James hit in Game 2, the Cavaliers were essentially swept by Howard and Magic, after going 8-0 in the first two rounds of the playoffs. Now, the Magic will try to pull off yet another upset, as the Finals begin Thursday in Los Angeles. James on the other hand, will be left with questions of whether or not he will stay in Cleveland or go to New York when he becomes a free agent in 2010. If this series was any indication, the Cavaliers better acquire someone else to help James if they want him to stick around beyond next season. For the first time in his career, Andy Roddick advanced Saturday to the fourth round of the French Open, beating Marc Gicquel of France 6-1, 6-4, 6-4. 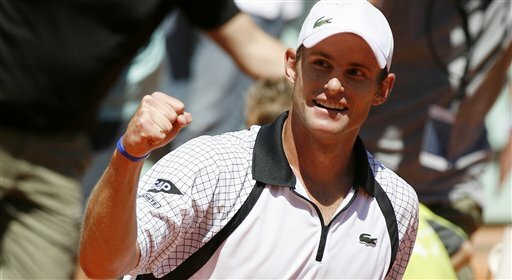 With the victory, Roddick is just the second American to reach the fourth round at the French Open since 2003. He also is the only American male still playing at Roland Garros in this year’s event. Roddick has reached at least the semifinals in every Grand Slam event — including a U.S. Open title in 2003 — except for the French Open, where his previous best was a third round loss in his first appearance at Roland Garros in 2001. So, while most tennis fans and experts anticipate another Federer-Nadal final — especially with No. 4-seeded Novak Djokovic losing in straight sets Saturday — it will be interesting to see if Roddick can make a run at his first French Open semifinal. To get there, however, Roddick will need to defeat Federer in the quarterfinals, a match that should be fun to watch regardless of outcome. Next up for Roddick: another Frenchman, Gael Monfils. And a win would set up a likely showdown between Roddick and Federer, barring any unforeseen struggles from Federer. For a little while there, it looked like Denver was the better team and the one headed for the NBA Finals. In fact, I thought they would easily ride home court Friday night to force a Game 7 in Los Angeles. Unfortunately, the Nuggets forgot to show up Friday for Game 6. Kobe Bryant, Lamar Odom and Pau Gasol on the other hand? They brought it. 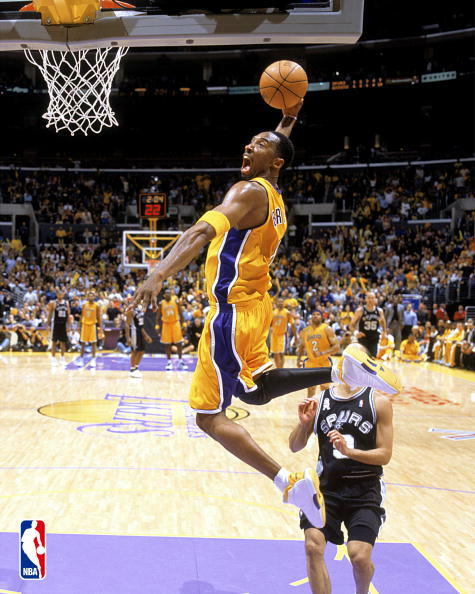 Not only did they bring their best when it mattered most, the Lakers delivered the knock out blow to the Nuggets on the road, something they couldn’t do in the last series against the Yao– and T-Mac-less Rockets. Look at the scoring numbers: Bryant had 35 points, Trevor Ariza had 17 points, and Gasol and Odom each added 20 points apiece. It wasn’t just Kobe leading the way. The Lakers won the series because the supporting cast stepped up Friday. Now, after extending its last series to seven games, Los Angeles gets the chance to sit back and wait for its opponent. The Lakers already know when they will play next — June 4 — so it’s just a matter of who and where. Can LeBron James and the Cavaliers can pull off the comeback from down 3-1 to the Magic? Will we get to see the Kobe-LeBron matchup everyone wants to see? 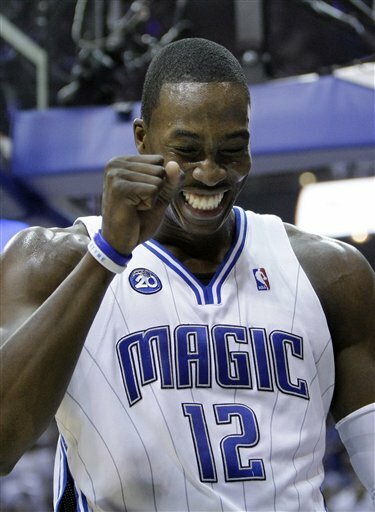 Or will Dwight Howard and Co. challenge the Lakers for the crown? We’ll find out Saturday night in Orlando. Venus Williams is the world’s No. 3 singles player in women’s tennis. Today, in her third round match at the French Open with Agnes Szavay (Who?) Williams lost in straight sets (6-0, 6-4). The shutout was her first in a Grand Slam event in more than three years. It also was the third time in as many years that Williams was eliminated in the third round of the French Open. Unfortunately for Williams, she always seems to struggle on the clay court at Roland Garros. It remains the only Grand Slam title she has not won. She reached one French Open final in 2002, a year in which she lost three of four Grand Slam titles to her sister Serena. Fortunately for the elder Williams, she can now focus more closely on defending her title on the grass courts at Wimbledon, where she has won three of the last four championships, including the last two. The day that so many have waited so long for has finally arrived. Baltimore Orioles catcher Matt Wieters will make his big league debut Friday against the AL Central-leading Detroit Tigers. If you’re a fantasy baseball person, check your league, he is still available in 30 percent of ESPN leagues and likely will outperform your current starter, unless you have Joe Mauer. Wow. Sure, the Orioles haven’t really been known for turning out any big time prospects over that period, but to be compared to Ripken or Jesus in anyway is a huge credit to the ability of this young man. 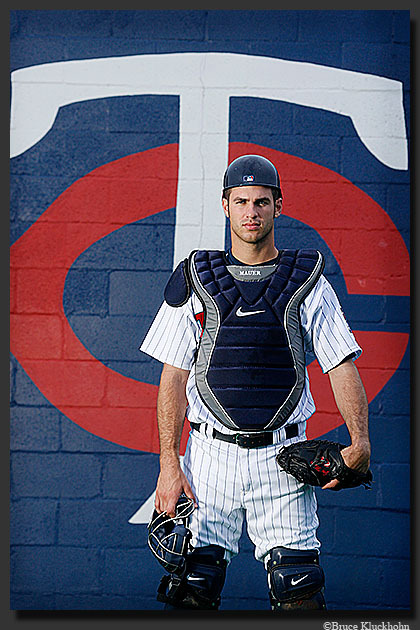 He has also drawn comparison to Mauer, who is having a monster start. This is exactly why I, along with the entire Orioles’ fan base, have been waiting patiently all season for the arrival of Wieters in the big leagues. So far this season, Wieters is batting .305 with five home runs and 30 RBIs in 39 games through Wednesday with Triple-A Norfolk. Yet, many believe those numbers will pale in comparison to his eventual numbers as the everyday catcher for Baltimore. 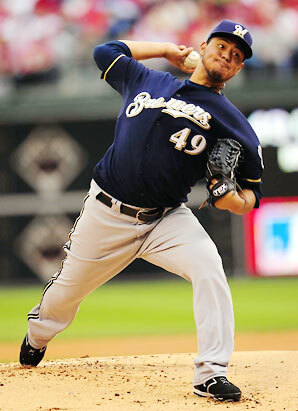 If you have MLB.tv or MLB Extra Innings, be sure to catch the game tonight at 6:05 p.m. (CDT). If you cannot watch it live, follow it on MLB.com or catch the highlights tonight on SportsCenter. 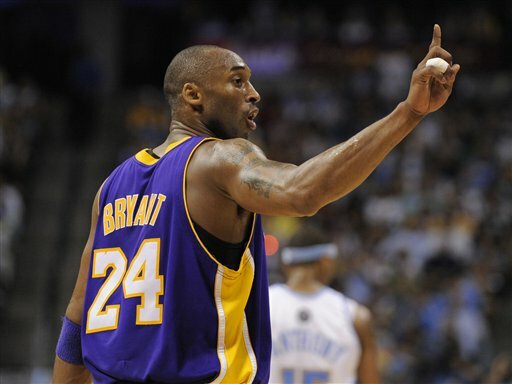 Sure, there may be a big NBA playoff game on tonight, but it will likely not decide the series between the Lakers and Nuggets. 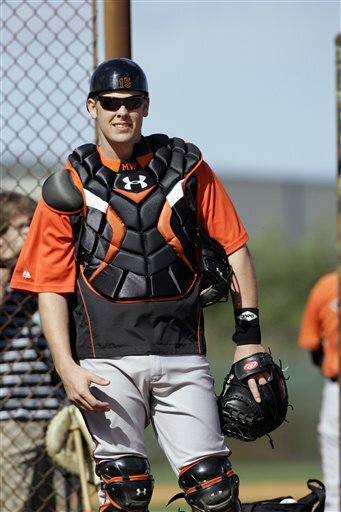 The debut of Wieters, on the other hand, is something that cannot be missed.